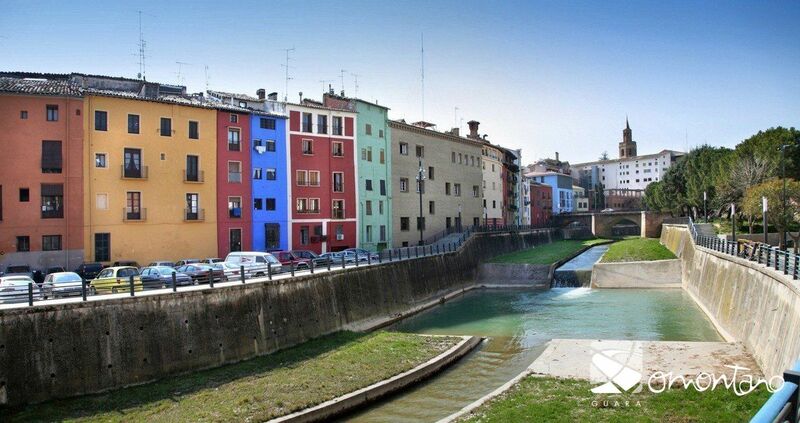 The right hand bank of the River Vero was once protected by strong walls, which were later used as the foundations for houses. Of considerable height, these houses created a compact and solid barrier, which was enhanced by the protection offered by the natural barrier of the river. 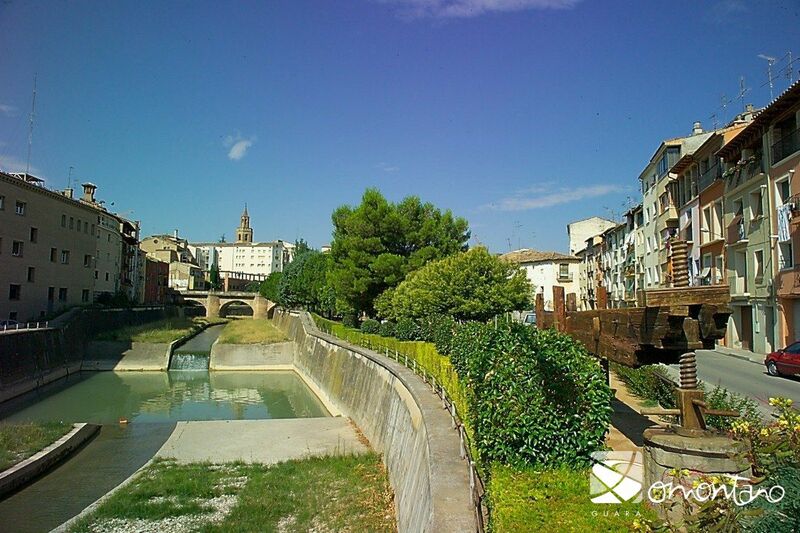 Access to Barbastro from the left bank was only possible by crossing the bridges that connected it to the city. 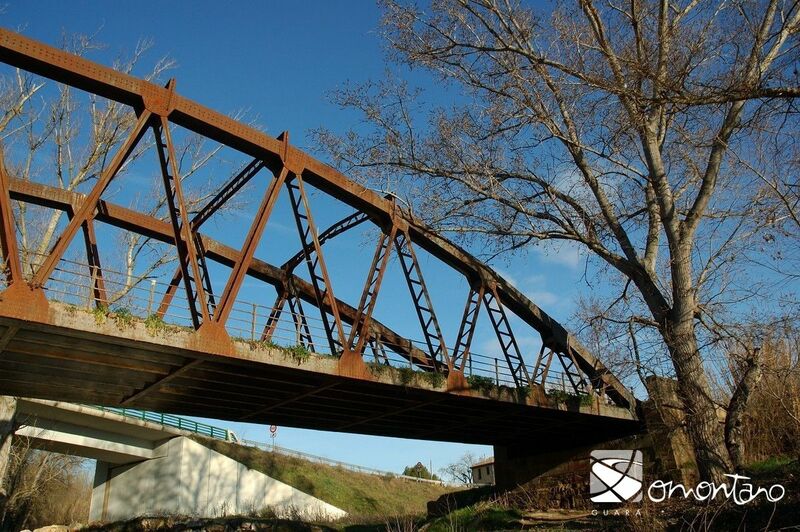 The Portillo Bridge upstream was constructed in the 20th century in a similar style to the one it replaced. The old brick bridge, dating back to the 16th century, had three spans and had suffered heavy bombing during the civil war. 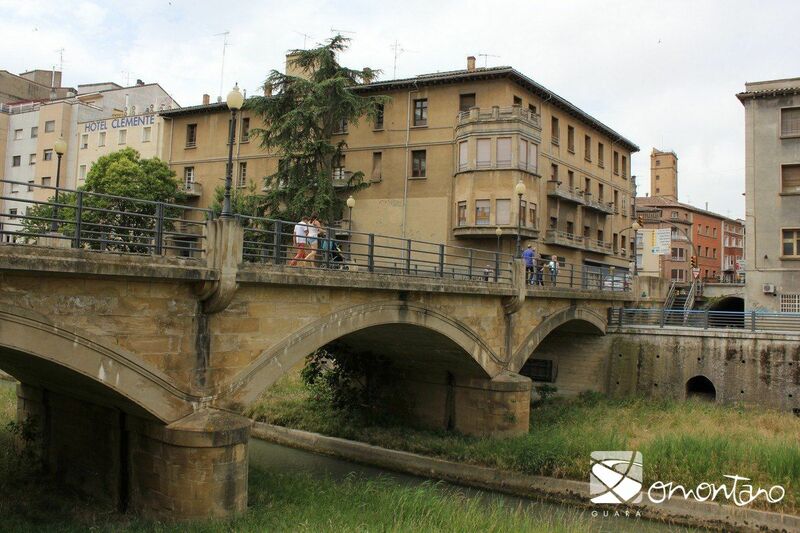 There is also evidence that a bridge stood in this spot as far back as the medieval era to provide access to the poor area of the city, which was probably made of wood. Portillo means “narrow or small door,” and for this reason it is thought that this was the main access to the walled city. The waters of the Vero are low during the drier seasons of the year, but the river is well known for sudden and destructive surges. 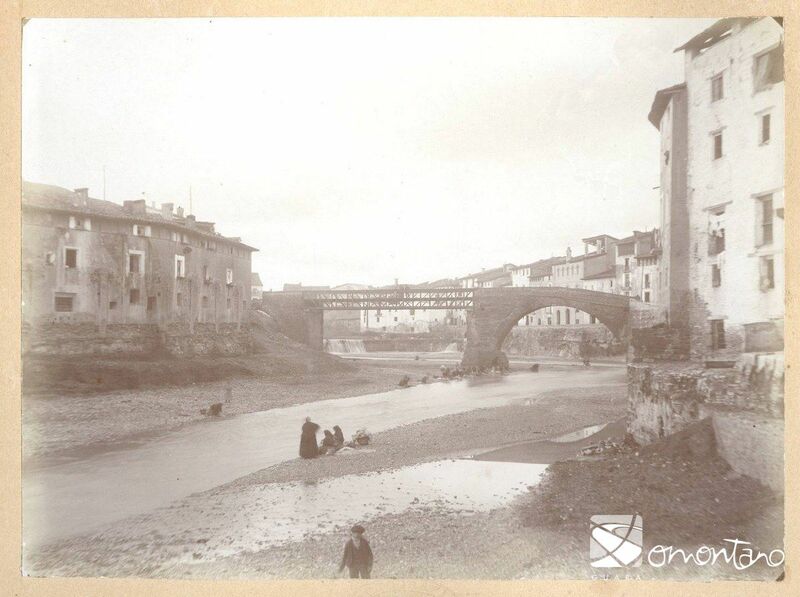 Before the river was channelled through the centre of the city, high waters could destroy everything in their path and citizens living close to the river were frequently evacuated. 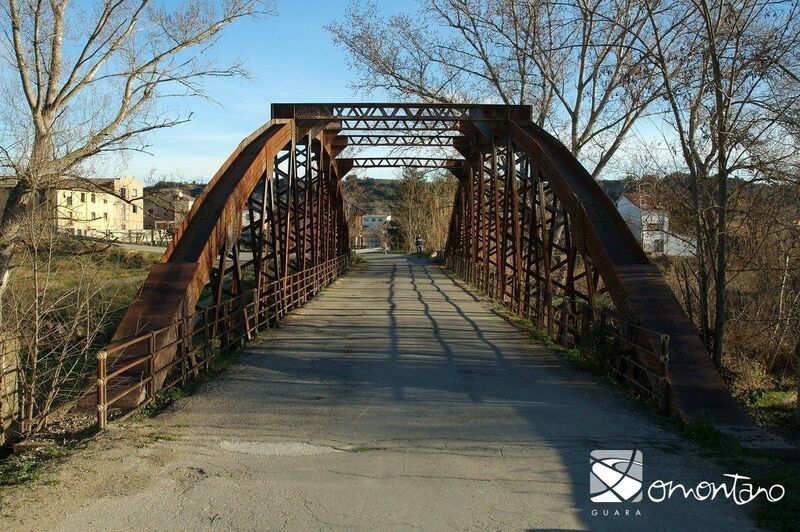 The city’s bridges were damaged over and over again and underwent many renovations over the centuries. 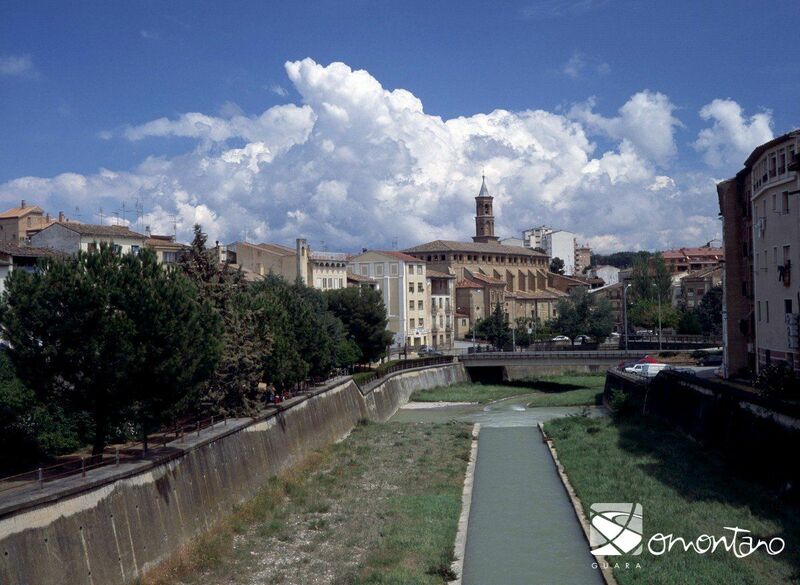 The dam was a barrier that directed the water of the Vero to an irrigation channel. The continual erosive effect of the river and the damage caused by swollen waters resulted in the need for constant repairs to the dam, which eventually disappeared after the channelling of the river in 1969.